A Brain-Computer Interface (BCI) is a system that enables a person to communicate with and intuitively control external devices solely by means of reading the user's mind. BCI establishes a direct communication pathway between the human brain and an external device, thus eliminating the need for typical information delivery methods.The Electroencephalogram (EEG) signals are electrical voltages captured from a user’s scalp to measure brain activities. The building of a BCI system has been widely explored in the realms of assistive living, neural rehabilitation, elder care and entertainment, because of its zero clinical risk, and portable, cost-effective acquisition devices. There are still several challenges preventing EEG-based BCI systems from being widely adopted, despite previous studies which have demonstrated the effectiveness of these systems in decoding brain signals. In this talk, Dr Lina Yao will introduce the research efforts on understanding the human mind by deep learning EEG signals in order to take action on situations, improve the decision-making process and enhance human-computer interactions. She will also present real-world application examples and discuss future research directions in this area. Dr Lina Yao is a Senior Lecturer within the School of Computer Science and Engineering (CSE) at the University of New South Wales, Australia. She received her doctorate degree from the University of Adelaide in July 2014. 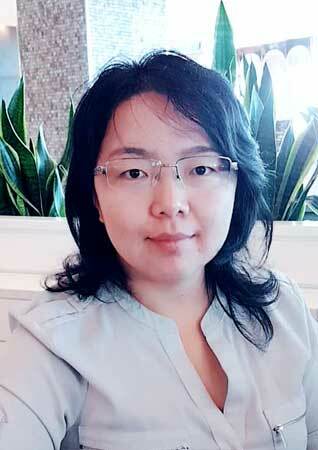 Her current and main research interest lies in data mining and machine learning applications with a focus on the Internet of Things, Brain Computer Interface, Human Activity Recognition and the Recommender System. She has published over 100 peer-reviewed papers in prestigious journals and top international conferences in the areas of data mining, machine learning and intelligent systems including ACM CACM, ACM CUSR, IEEE TMC, ACM TIST, IEEE TKDE, ACM TKDD, ACM TOIT, PR, IEEE PerCOM, IEEE ICDM, ACM Ubicomp, AAAI, SIGIR, IJCAI and CIKM. She is the recipient of the prestigious Australian Research Council Discovery Early Career Researcher Award (DECRA) in 2015 and was recognized in the Inaugural Vice Chancellor's Women's Research Excellence Award at the University of Adelaide in 2015.